Fiona is a busy college student. Not only is she a big part of IUP TV (IUP News and IUP Football), she is also the president of SOCA (Student Organization for Caribbean Awareness), an organization that tries to incorporate customs from the islands and bring them to campus, as well as break the stereotypes of what people expect from those who come from the islands. 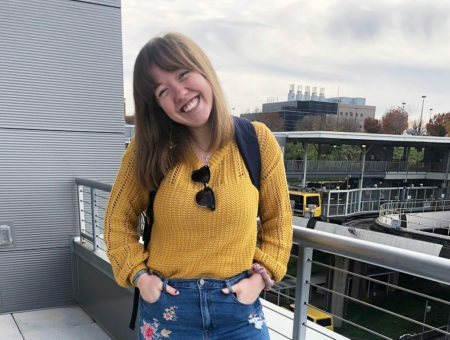 For this girl, the added stress of finals week did not stop her from staying true to her style. She told me her style is constantly changing, but she goes for more “urban” styles and tries to incorporate business clothing into her wardrobe. 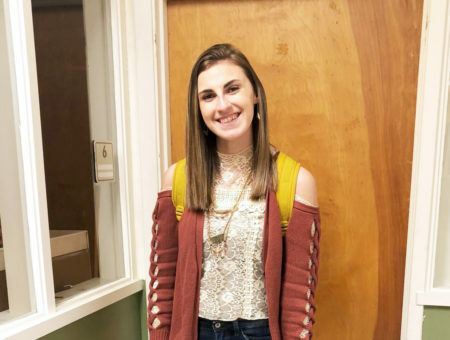 Since integrating a more elegant style is what so many college students currently try to do, Fiona’s outfit is a fab example of how a student can make that happen while still staying true to her personal style. Slogan t-shirts were one of the biggest trends in 2014 (who could forget the ‘Homiés’ and ‘Féline’ slogans?) 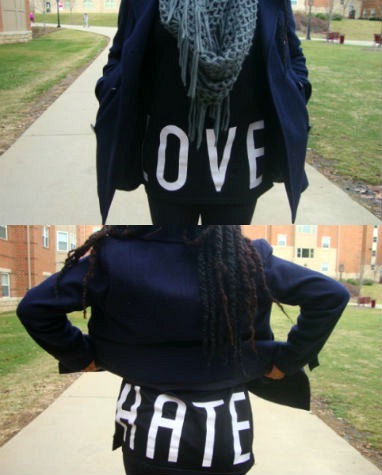 and this “love/hate” shirt proves how much of a statement one can make. 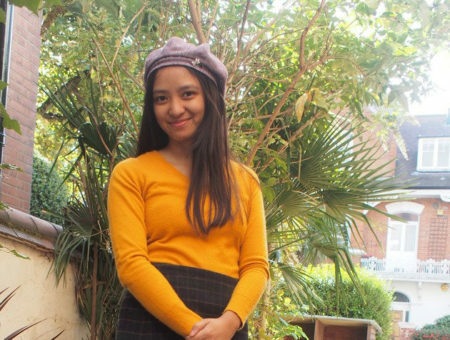 Fiona pairs all the right colors to make her urban style outfit look comfy yet fashionable – even during a busy finals week. If you also want to incorporate more business-like pieces into your winter wardrobe, consider bundling up in a structured trench coat like Fiona’s. The addition of her gray scarf brings the focal point to her face and adds balance to the dark color scheme. 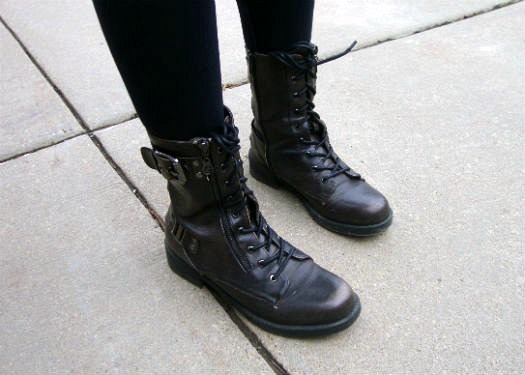 Few things master the balance of comfort and style like combat boots do. These shoes can be your best friend during cold December days, especially when there’s not a whole lot of snow just yet. Fiona got her boots from Macy’s, and it’s easy to see why they’re a go-to shoe during this time of the year. What are you wearing to stay warm? Do you love Fiona’s outfit? Would you wear it? How do you feel about slogan t-shirts? Do you like combat boots as much as we do? Comment below and share your thoughts!